An American super-nanny has been hired to help bring up Meghan's royal baby. The 'lifestyle guru' Connie Simpson, who helped to raise George and Amal Clooney's twins, has been hired by the royal family as a parenting coach, sources claim. She has worked with A-listers including Justin Timberlake and Jessica Biel, and has helped to raise more than 250 babies over a 30 year career. 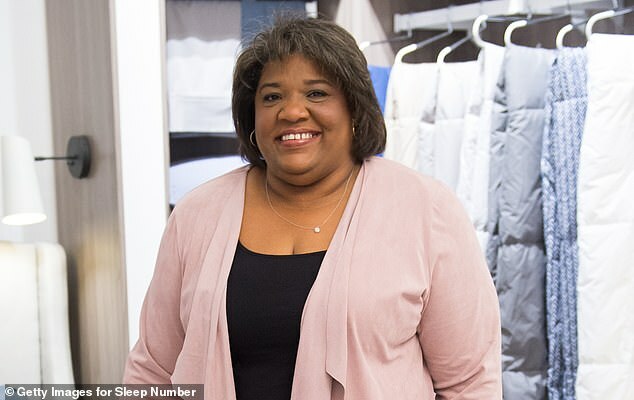 Ms Simpson, from Mobile, Alabama, is also known as 'Nanny Connie' to former clients. She bought up a daughter of her own before going on to help famous stars including Matt Damon and Justin Timberlake with their parenting techniques. She will show first-time parents Harry and Meghan, now the Duke and Duchess of Sussex, the ins and outs of parenting. The royal couple announced that Meghan was expecting a baby with Prince Harry last week. Connie Simpson was recommended to the royal couple by The Clooneys, reported The Sunday Star. Meghan's Mum Doria Ragland will raise the baby along with Nanny Connie, who will act as a family coach to the royals. Nanny Connie said: 'The baby is going to have no earthly idea that she's Meghan Markle or that she's Prince Harry's wife and in line to the throne. 'They will just know her for being the one to supply that milk to her and give her that comfort. 'I would say as much as she can to just enjoy the moment of being a mother, the transformations of her body and the different stages of that baby's life. The new royal baby will be seventh in line to the throne, behind William's two twins George and Charlotte, who will be the baby's older cousins. It is due to be born in spring next year. The professional nanny has written a book called The Nanny Connie Way: Secrets to Mastering the First Four Months of Parenthood, which was published earlier this year. Her book covers breastfeeding, new mother stress, bath-time and bedtime for babies. 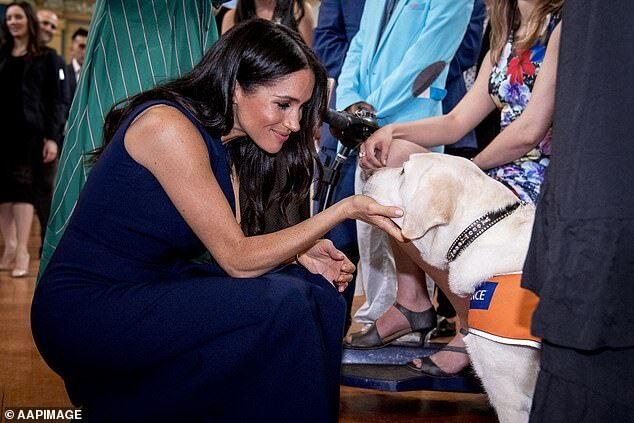 She said the most important thing Meghan can give the baby is herself, and her love as a mother, although Meghan would be 'overwhelmed' at first. When the baby was announced earlier this week, Kensington Palace said Meghan's Mum Doria was 'very happy about the lovely news and she looks forward to welcoming her first grandchild'. 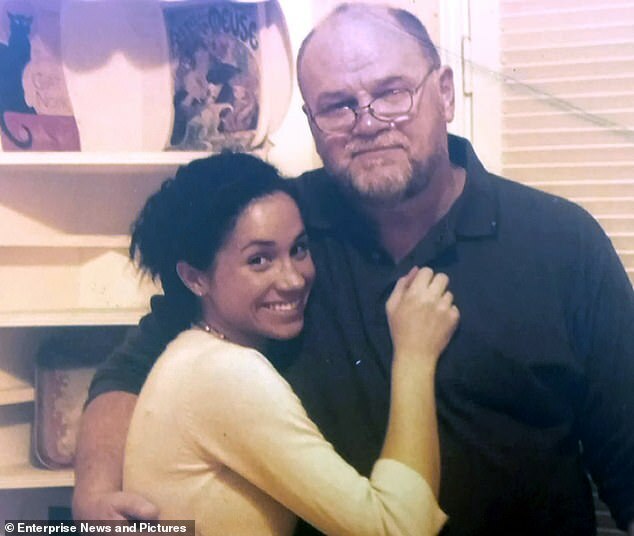 Mr Markle however became estranged from Meghan days before the Royal Wedding in May after hanging up on Prince Harry. The prince had called to chastise him for co-operating with paparazzi pictures which showed, among other things, Mr Markle being ‘fitted’ for a wedding suit. However, he yesterday told the Mail he was his daughter would be a wonderful mother. He said: ‘I wasn’t surprised by the baby announcement. 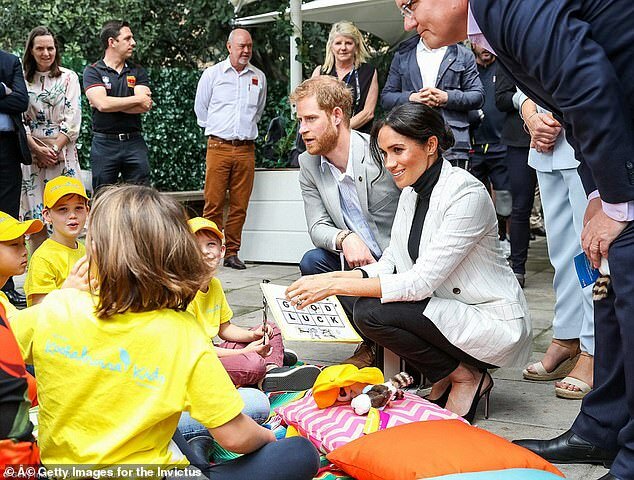 Meghan loves children and she and Harry have been talking about wanting a family from the start. 'I’m delighted for them both. The first thing I thought about was holding Meghan in my arms as a newborn 37 years ago. The royal couple are both in Australia on a tour, where they visited the new Anzac Memorial in Hyde Park, Sydney. Nanny Connie would not confirm whether she had been hired. Anne Marie you didn't see I posted this in another thread? I'm sure George Clooney's wife Amal will share her pregnancy, giving birth, and life with Nanny Connie Simpson experiences with Princess Meghan since they are good friends. I don't know about this I may be wrong but this is probably just another way to add George and Amal's names in a story. I see the Clooney name should be attached to the thread. I thought association with the people in the thread was enough to make a thread. I'm talking about the article itself , I think the writer was just linking the Clooney's so people would be more interested. I think the thread is fine. I just doubt they are hiring a celebrity nanny . Annemarie - It wouldn't surprise me if they hired her. Her clients must be really satisfied with her or they wouldn't recommend her to their friends - and a lot of them have. It does sound a little weird, though, when the DM says she helped "bring up" the Clooney twins, as if they're fully grown. They're just over a year old - hardly "brought up" yet!